For as long as I can remember, skydiving has been on my bucket list. While I have yet to jump out of a perfectly fine plane with a parachute on my back, I got to experience the next best thing. 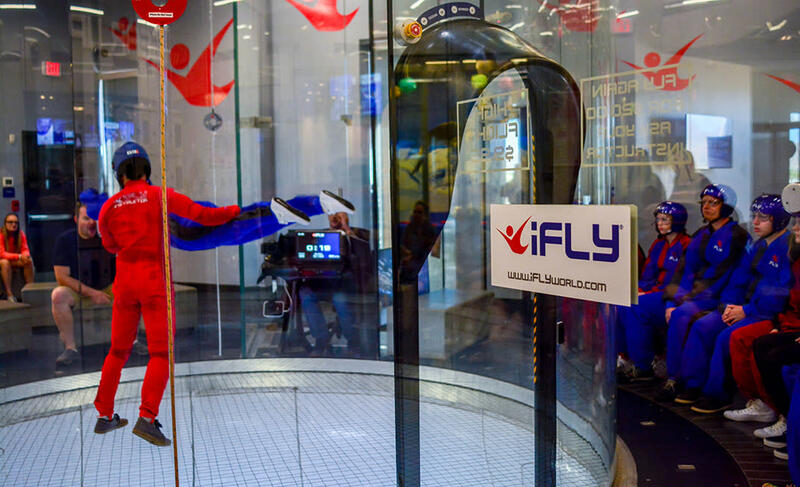 iFly is Scottsdale’s only indoor skydiving facility and, let me tell you, it’s exhilarating! 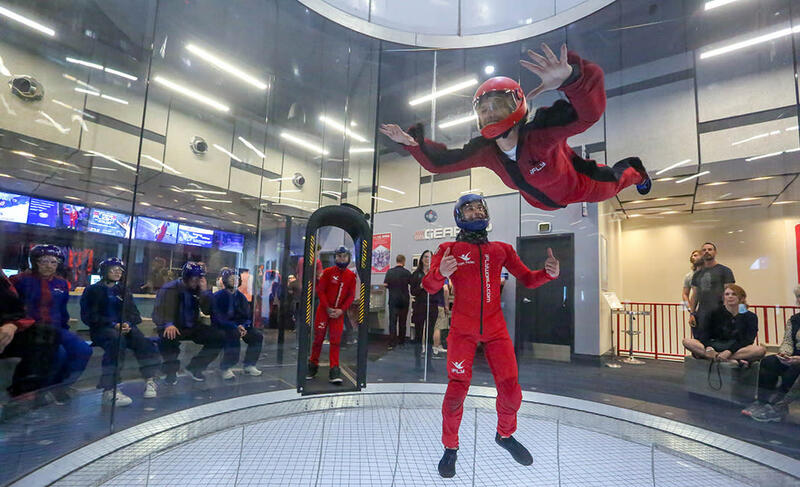 Indoor skydiving simulates true freefall conditions but, instead of jumping out of a plane, you fly in a vertical wind tunnel. 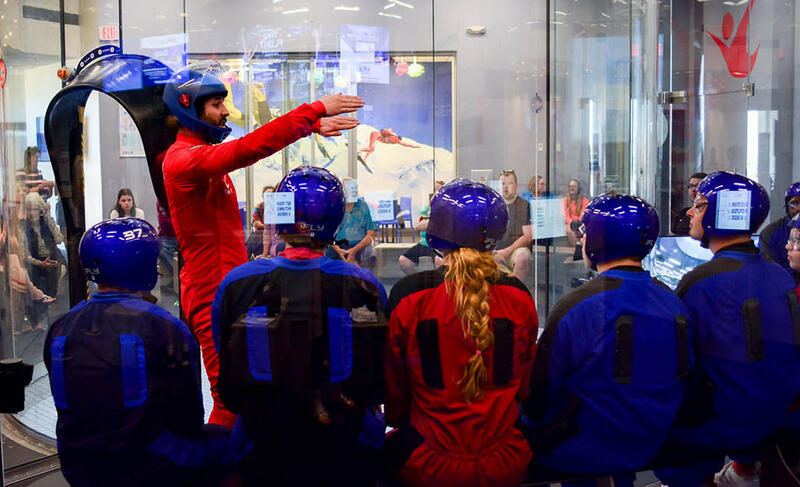 If you’re a thrill seeker looking for that next adrenaline rush or just want to try something new, read on for tips and tricks I picked up during my time at iFly! Since I’ve never done any type of “flying” before, I went into the experience not knowing what to expect, but I knew it was about to satisfy my inner adrenaline junkie. The process was seamless from start to finish. Filling out a waiver form is the first step but, you can save time and do that online before arriving. After finishing the paperwork, I walked upstairs to meet my flight instructor, Adam. He geared me up with a flight suit, helmet and hair tie (flyer tip - if you have long hair this is a must) and brought me to the tutorial room. This is where you learn the important stuff like how to position your body while you’re flying and communicate with your flight instructor while you are in the flight chamber. And now the moment of truth my future fliers - it was time to fly! My heart was beating 100 mph but I did it! I flew! I stepped up to the chamber doors where Adam was waiting to help guide me into my first flight. I raised my arms, made sure my chin was lifted (flyer tip: always keep your chin lifted) and leaned into the wind tunnel and just like that, I was flying!! I felt like Rachel McAdams in The Notebook when Ryan Gosling tells her “If you’re a bird, I’m a bird”. It was exhilarating! Each flight lasts 60 seconds and you have the option to purchase anywhere between two and five flights. An added bonus is the high flight in which you and your instructor will soar far above the standard fly zone. Don’t miss it! Your inner adrenaline junkie will thank you (and me!). ADRENALINE. ADRENALINE. ADRENALINE. I was smiling from ear to ear and never wanted that feeling to end. Not only did I get to fly but, once I was done, I got to watch the super talented Adam fly in the wind tunnel. Wow! Watching the instructors do what they do best was one of the coolest parts of the whole experience. All of Adam’s twists, turns, flips and tricks made me want to perfect my beginner level tricks. I’ll be back again soon!